An efficient MBOX to PST Mac freeware tools don’t come easy. And even if they do, they are hard to use and result in an incomplete conversion. When it comes to MBOX to PST data conversion, you need a powerful utility that has a dedicated logic for each item for conversion. Thankfully, there’s one. 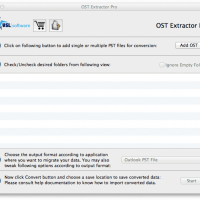 It’s called “Mail Extractor Pro” and is the only converter that works directly in Mac without problems. It is developed by “Mail Extractor Pro” and has a naturalistic easy to use interface that users that are converting their files for the first time can use. The tool comes in several licenses and also a free trial version that you can check out right now. 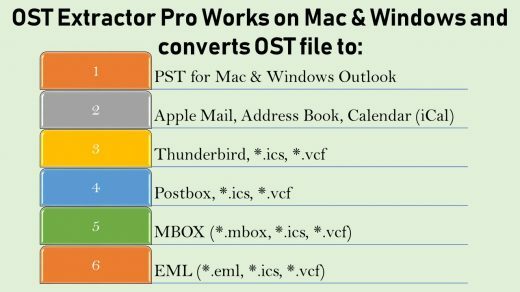 Mail Extractor Pro converts email from multiple sources to PST file format for Mac Outlook and Windows Outlook. It can convert MBOX to PST, Apple Mail to PST, Thunderbird to PST and Postbox to PST file format. If you have always wanted to convert MBOX to PST Mac using a freeware, this is your chance. The tool lets you convert ten items per folder without locking any feature without activation. You can always activate to full version it later at your leisure. Convert MBOX to PST in Mac, but can also convert Apple Mail, Postbox, and Thunderbird to PST. The PST files converted by the tool are compatible with all Windows and Mac Outlook editions. The accuracy of output files is sharp, down to the single byte properly converted without damage. It also converts text in all languages, including Chinese and Japanese characters. It converts every item in the email headers and metadata, like To, From, Cc, Bcc, Subject Line, and time and date stamps. The batch conversion allows users to load any number of MBOX files and convert them all together to PST without compromising performance or precision. Download the free trial edition today. Try Mail Extractor Pro is best email converter tool to convert mbox to pst, Apple Mail to PST, Thunderbird to PST and Postbox to PST. Import Mac Mail into Windows Outlook – Power into Your Hands! Next story OST to PST Converter for Mac from USL Software That Handles Large OST files with Ease!